The heart is the most important muscle in the body, therefore, it deserves some attention. Let us look into some of the best exercises to reduce your risk of stroke, heart disease and keep your heart strong. According to a study by the British Medical Association, cycling regularly can substantially reduce your risk for coronary heart disease,. The study reported that cycling 32 kilometres a week reduced the potential to develop heart disease by at least 50%. Cycling uses large muscle groups in your legs to elevate your heart rate, and this helps to burn calories, improve your cardiovascular fitness, and improve mental health. Hit the pool for an exercise your heart and lungs will love. Lane swimming will give you higher return on your exercise time investment, according to Brendan J. Fox, who is a Toronto-based health and fitness expert. Fox recommended to progress from 8-12 lengths of the pool per swim technique, and the changing techniques on different days. This means doing front crawl and legs only with a flutter board on a day, then doing breast stroke and back crawl on another day. A steady run is an excellent method to stay in shape, but running intervals will really push your cardiovascular fitness into the next level. Whether it’s hills or sprints, all you need is 10 seconds at a time. Keep the intensity at about 10 seconds, to make sure you go all out, and then begin with 4 10-second intervals per workout, then working your way up to 10. 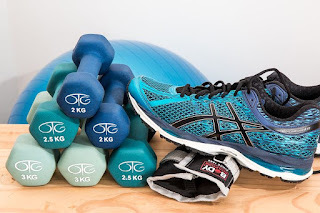 Also, it is recommended to do the intervals first, so not only do you have the energy to do them, but this type of training will deplete some of the carbohydrate or glycogen stored in the muscle, therefore, allowing you to tap into stored fat more readily. You should work hard enough to get out of breath, but, then take the minimal rest period to recover. Strength training, or what is known as resistance training is another way to help improve heart health. When combined with aerobics, doing strength training will help to lower bad cholesterol and raise good cholesterol. Also, it can reduce your risk of having a stroke or heart attack. 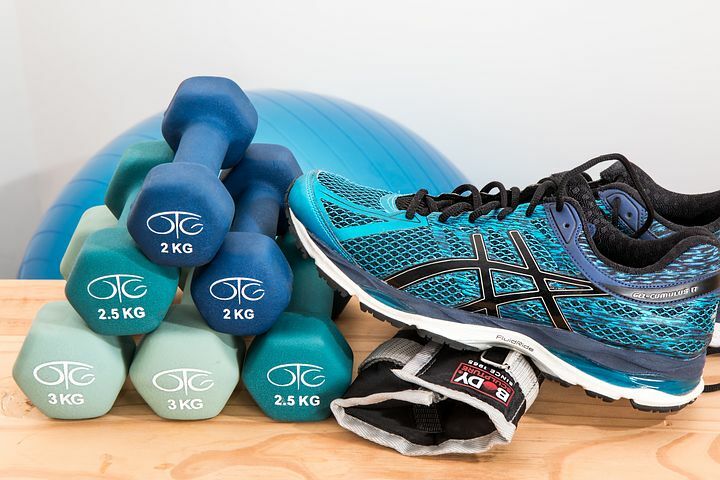 The American Heart Association and CDC both suggest that you participate in strength training exercises at least twice a week (on nonconsecutive days). Strength training exercises should be done in sets. Then each set should consist of about 8-12 repetitions, or until it becomes hard for you to perform another repetition without help. You do not have to be doing high level of activity to increase your heart health, according to Dr. Paul Oh, medical director of the Cardiac Rehabilitation and Secondary Prevention Program at the Toronto Rehabilitation Institute, who mendtioned that pushing your heart rate up and down quickly can be dangerous to those who are out of shape . Yoga may not seem like a heart health activity, but it is. “Yoga is great for muscle and strength toning.” Also, more active styles of yoga such as Bikram and Ashtanga can offer cardiovascular benefits, as your heart rate is elevated throughout the class.